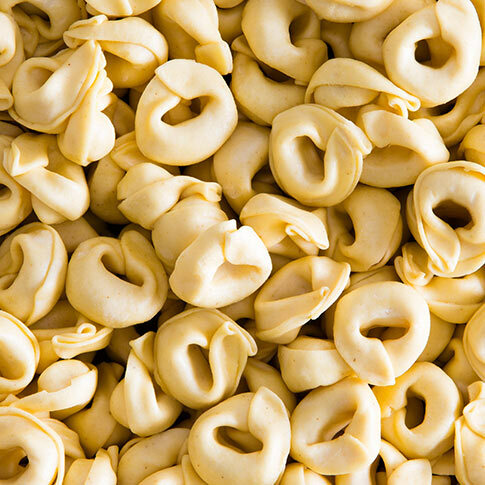 We have assembled the largest Pasta packaging technical FAQ library in the world. 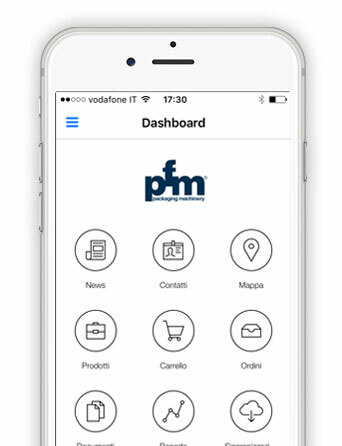 Written by a team of experts to help you find the most innovative Pasta packaging solution in the market. Ask us about Pasta packaging. We can help, promise. 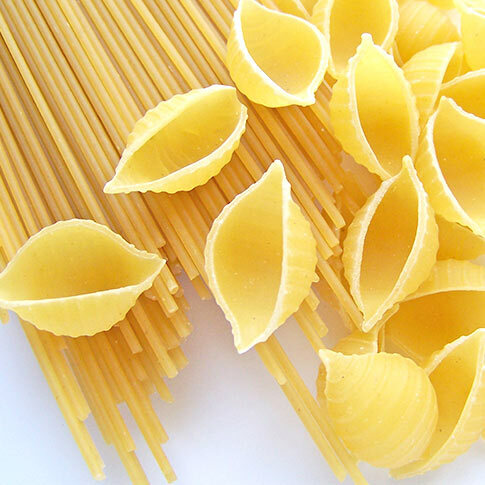 Italy’s pasta-making industry is the first in the world in terms of production capacity potential, national consumption, average consumption and export (covering approximately 30% of world production and 75% of European production). In the last three years domestic consumption has decreased slightly, despite historically evidencing positive trends: the same has not happened at international level, which has seen an increase in consumption and consequently in the export of Italian pasta. At the moment, over 55% of domestic production is being exported. Pasta packaging depends on the type of product and its use. Mass produced dried and fresh pasta require different types of packaging. In the first case, 56% of packages are made using the flow-wrap technology, 5% of which are of the stand-up type obtained using vertical form fill and seal packaging machines, whereas 40% of packages are made of cardboard. As regards products intended for use in communities, packaging is mostly flexible, and the film used is flexible plastic and paper (60% to 40% respectively). 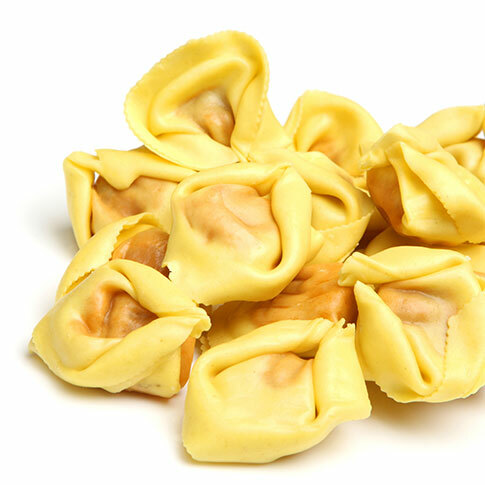 Dried egg pasta is generally flow-packed in a cardboard tray, using horizontal flow-wrap packaging machines. 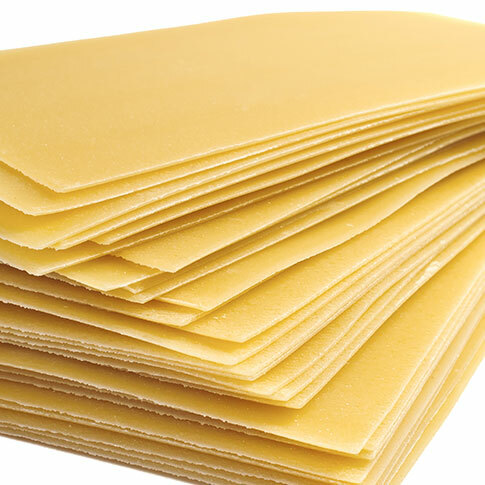 Filled dried pasta is only packed in stand-up self-supporting square or rectangular bottom packs using vertical form fill and seal machines. the classic pillow bags, flexible stand-up packs or trays. 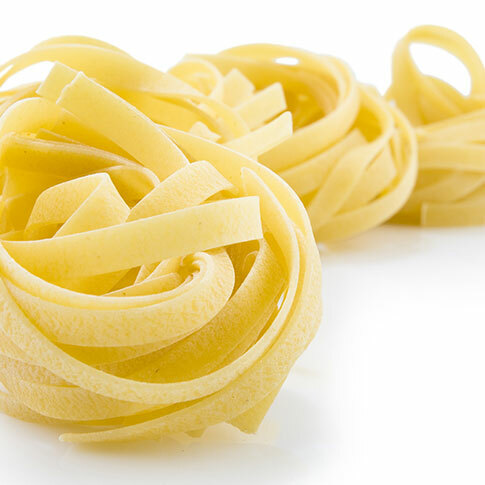 Fresh pasta packaging must guarantee that the product remains fresh and whole: when the pack is opened the content must have the same organoleptic characteristics of the freshly-produced product. 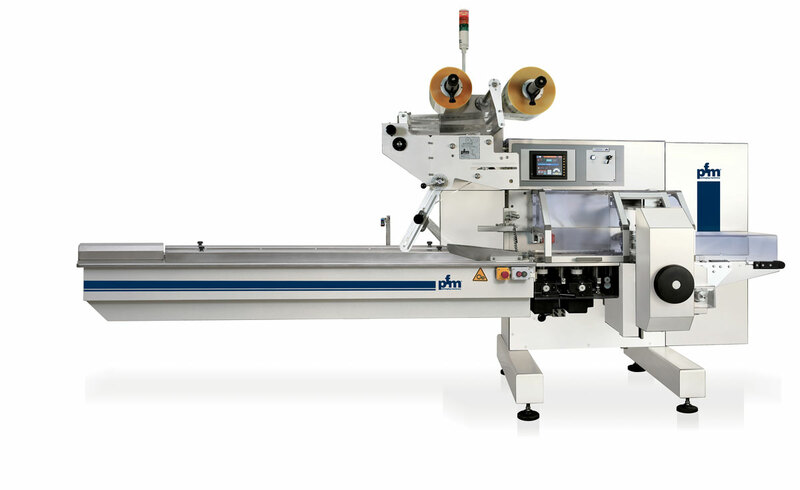 PFM has dedicated a complete range of horizontal flow wrappers and vertical form fill and seal machines to this sector. 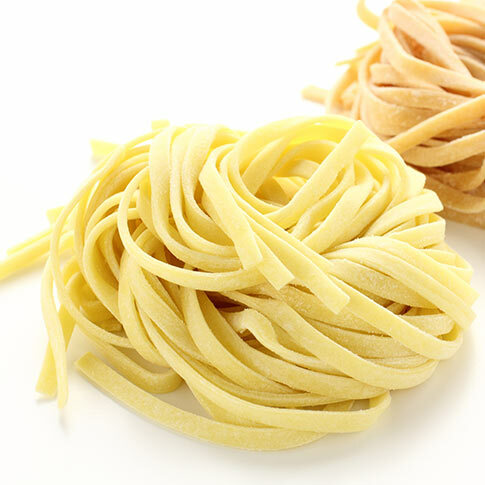 Short dried wheat pasta and small egg pasta are packed using vertical packaging machines, connected to feeding and weighing systems. 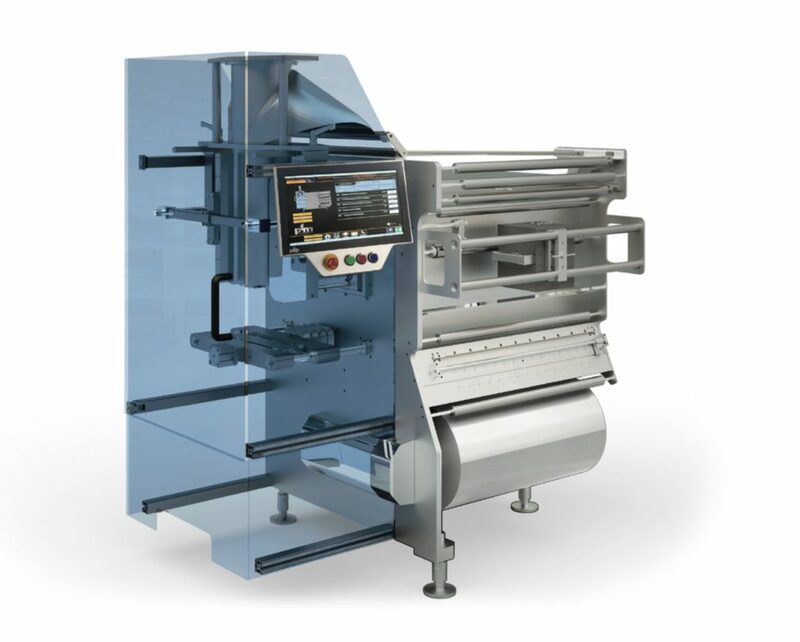 PFM vertical form fill and seal machines are perfectly integrated with MBP multi-head weighing systems. 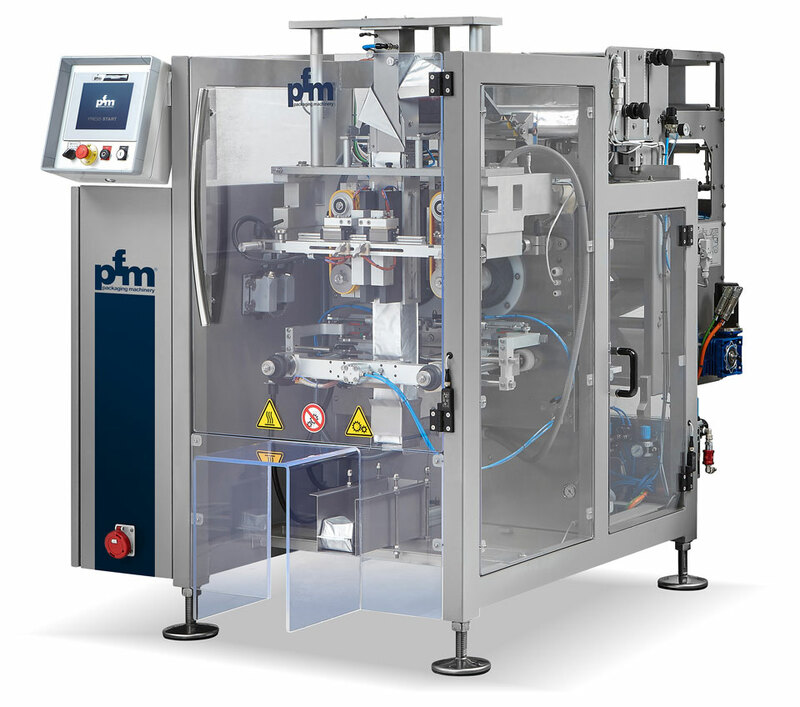 PFM vertical packaging machines produce pillow bags (standard) or self-supporting bottom stand-up bags, also with 4 side seals, of the Steelo bags type. 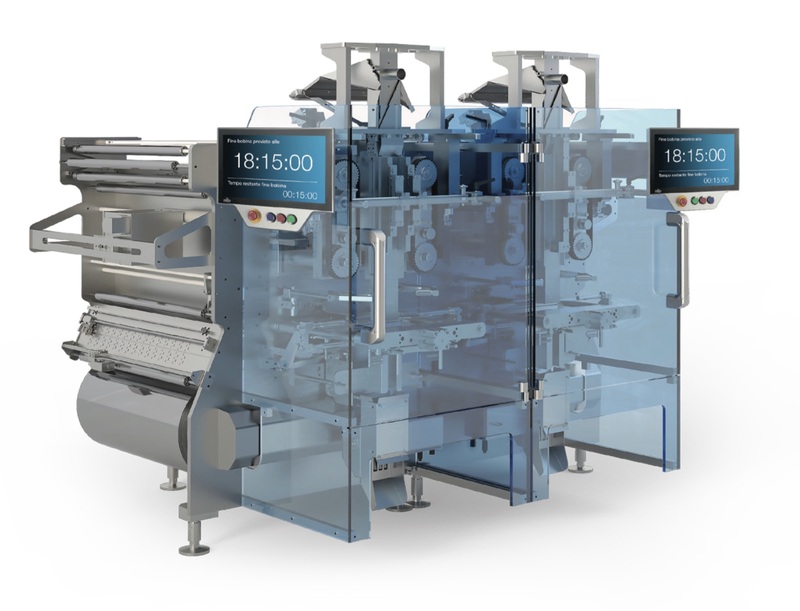 PFM has dedicated a complete range of horizontal flow wrappers (that meet any packaging speed required) to egg pasta (traditionally packed in a cardboard tray and flow-packed). 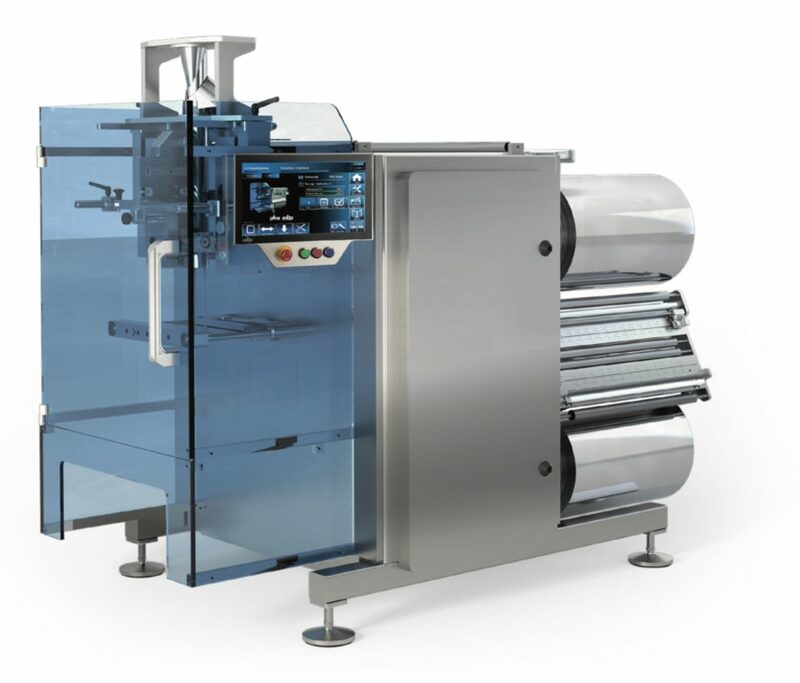 Depending on the format, horizontal flow-wrap machines and vertical machines are used for fresh pasta and filled fresh pasta: they are packed in modified atmosphere, using heat-resistant, water and gas barrier film which is then hermetically sealed.